The Ursa Maior optimizes the functions of a couch. The difference in the size of the seat, back, and arms provides the freedom to sit or lie down. The idea is to bring people together and entice them to embrace. It is made from wicker grown under a sustainable management program, a metal frame, and foam upholstered with a cotton fabric. Maria Bernadete Brandão – ME. Minnesota Wood is the new bathroom mirror line designed by Carlo Martino for Gedy, and has been added to the Minnesota wood accessory collection. The mirrors, which are available in 100 x 50 and 70 x 50 cm, are characterized by the sober and elegant frame design. The frames offer sufficient clearance for the optional installation of a fluorescent tube. Gedy S.p.A. The ROBERN Candre decorative cabinet is bordered by reflective back-painted glass and a polished metal frame to give a dramatic and layered look. 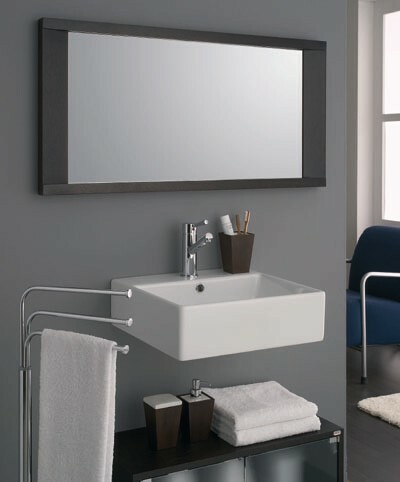 To maximize design versatility, Candre is available as a medicine cabinet in different sizes and the glass frame comes in smoky tinted gray mirror or crisp white colors. Robern . 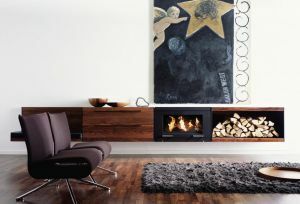 More than a fireplace – an interior decorating concept! The two flueless combustion chambers for wood or alcohol can be combined with side elements in walnut or oak for a variety of functions. 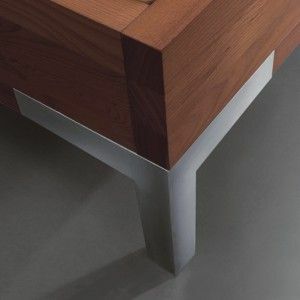 A solution with stainless steel legs is also available. 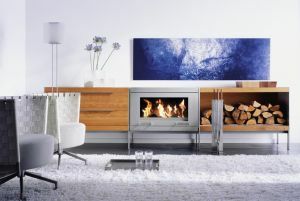 Built-in air chambers make it possible to combine wood elements with the combustion chamber. All modules are compatible with each other, resulting in countless individual design options. The combustion chamber door tilts up for easy feeding and cleaning. The smoke tube is connected to the top or the rear. 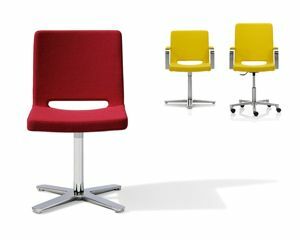 Soft X is a fully upholstered all-round conference and restaurant chair. 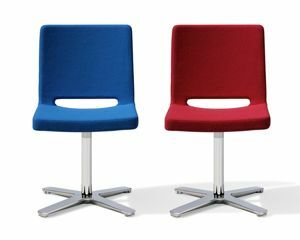 The SoftX chair’s backrest has been attached to the seat in a way that leaves a gap between the two parts, giving the fully upholstered chair a lighter look. Martela Oyj . Great emphasis was placed on a linear, purist style in a simple design. In conjunction with a sawmill, we developed a technique to naturally darken beautifully grained beech in order to create a warm brown tone: Moorland beech. Combined with the aluminum feet manufactured using a traditional sand casting process, each bed has a totally unique character. RUHE & RAUM GmbH.